What could be better than waking up in the morning with perfectly designed eyebrows, defined eyes and beautifully shaped and coloured lips? 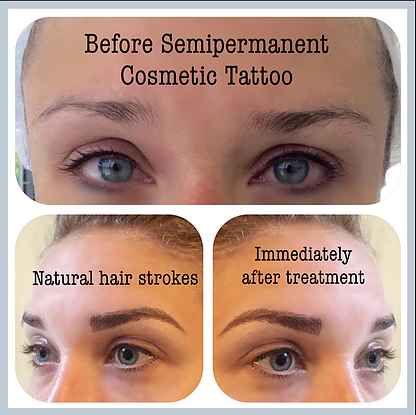 Welcome to the world of semi permanent makeup. The Artemis Clinic in West Wickham, near Beckenham & Bromley, offer expert permanent makeup treatments at fantastic prices. One of the fastest areas of growth in the beauty industry, beyond the mere aesthetic value, these treatments will save you time, money and eliminate the tedium of daily makeup application. Our highly experienced permanent makeup artist uses industry approved, state of the art technologies. The process is virtually pain free and ensures excellent and long term results. This procedure relates to the implantation of coloured pigments under the skin using a tattoo needling method. Semi permanent eyebrows, eyes and lips are the most frequently requested services. The aim of treatment is to enhance and define your natural features and give long lasting, impressive yet subtle results. The end result is so realistic and natural looking, no-one will know unless you tell them. 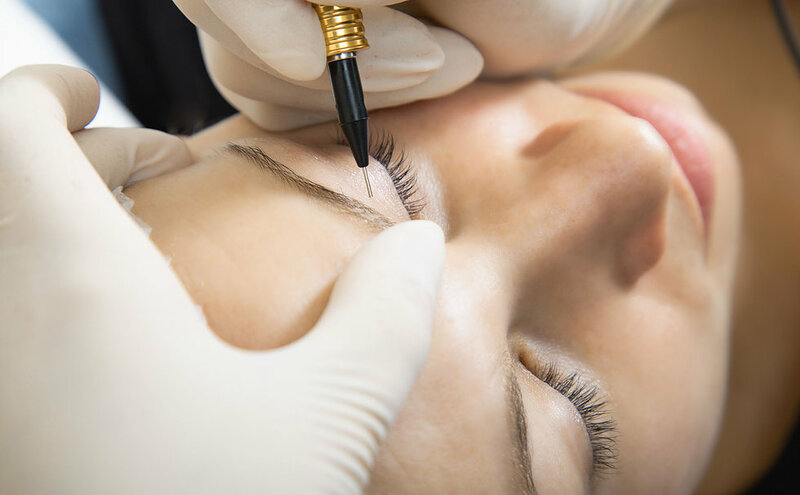 Semi permanent makeup is ideal for those who would like to start the day with their makeup already in place and reduce their use of conventional cosmetics. 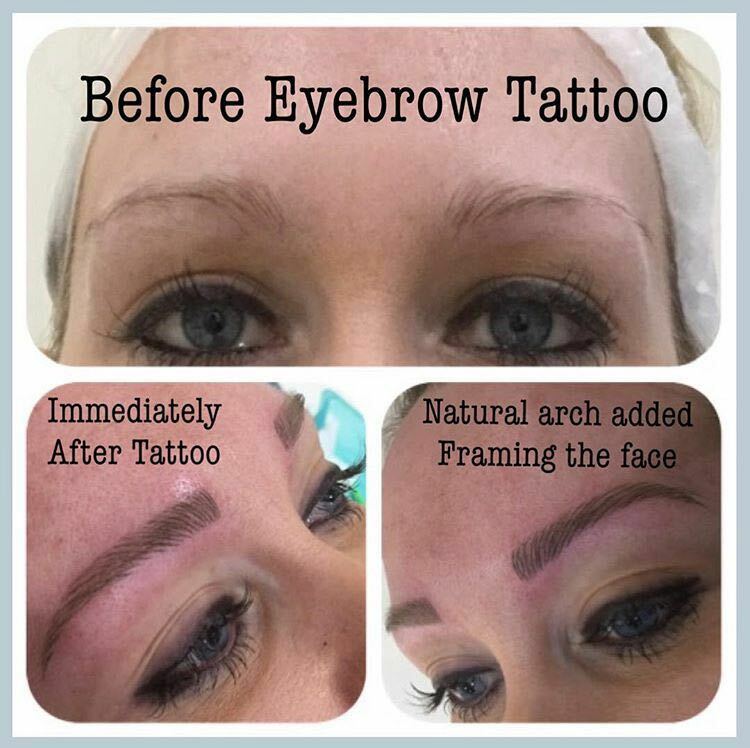 A well defined and shaped brow will frame your face and can have a huge impact to your overall appearance. Semi permanent makeup can help you achieve this and we guarantee the results will surpass your expectations. We ask all clients to drop into the clinic for a patch test at least 24 hours before commencing treatment. This is a walk in service on a pre-arranged day. Treatment starts with an in depth consultation in which you will discuss your expectations and be advised on the perfect style, shape and colour match. The brows are then drawn on with a makeup pencil and only when you are happy with how they are going to look will the process begin. A numbing cream is usually applied before treatment so most find it an almost painless procedure. Average brows typically take about 45 mins to apply. Following treatment, the colour will appear darker than the final result. The colour will settle as the top layer of skin flakes away during the healing process. This typically takes about four weeks. A final top up is necessary four weeks after the initial treatment. In order to maintain the achieved look, it is necessary to have an annual colour refresh treatment, this can be achieved in one treatment session. 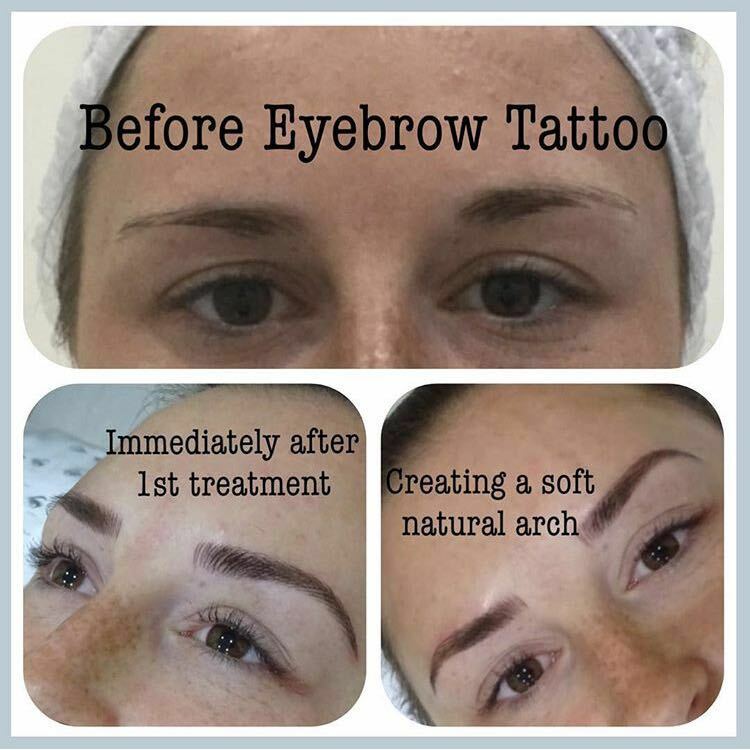 Full treatment includes consultation, colour match, finding the ideal shape, the first tattooing treatment and final top up a month later. This price is dependent on the current condition of the brow colour and the length of time since the previous application. Make washed out eyes a look of the past and embrace the liquid liner look. Well defined eyes can make a huge difference to your whole face but achieving this look at home can be difficult. Semi permanent eye liner can be applied to both upper and lower lids to give you a professional makeup look 24/7. We ask all clients to drop into our West Wickham clinic, just a few minutes drive from Bromley & Beckenham, for a patch test at least 24 hours before commencing treatment. This is a walk in service on a pre-arranged day. Treatment starts with an in depth consultation to discuss the type of look you would like to achieve. Choose between upper, lower or both eyelids, colour and style of eye liner. You will be advised and guided at each stage of the process. The look you have chosen will be pencilled on prior to treatment to ensure you are completely happy with your new look. The process of cosmetic tattooing is nearly painless as a numbing cream is applied prior to treatment commencing. Following treatment, the colour will appear darker than the final result. The colour will settle as the top layer of skin flakes away during the healing process. This typically takes about four weeks. A final top up is necessary four weeks after the initial treatment. In order to maintain the stunning results, it is necessary to have an annual colour refresh treatment, this can be achieved in one treatment session. This price is dependent on the condition of the current semi permanent eye liner and the length of time since the previous application. Would you like your lips to look great, in perfect shape and colour all the time? This enhancement can restore volume and symmetry and add a youthful flush of colour to your lips. Treatment starts with an in depth consultation to discuss the type of look you would like to achieve. Choose from our huge range of shades to either enhance your natural lip colour or to match your favourite cosmetic lip colour. You will be advised and guided at each stage of the process. The lip shade you have chosen will be pencilled on prior to treatment to ensure you are completely happy with your new look. The process of cosmetic tattooing is nearly painless as a numbing cream is applied prior to treatment commencing. 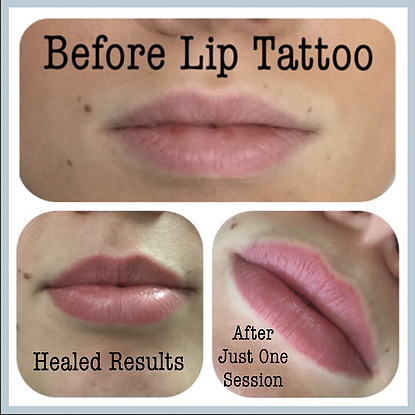 This price is dependent on the condition of the current semi permanent lip colour and the length of time since the previous application. Scalp micropigmentation is an effective and elegant solution to both male and female hair loss. It is suitable for all types and stages of hair loss and thinning and is a highly specialised process. Tiny deposits of pigment are inserted into the dermal layer of skin to replicate to appearance of real hair in that area. It may also be used to lower a receding hair line and/or give a freshly shaved appearance. We ask all clients to drop into the clinic for a patch test before commencing treatment. This is a walk in service on a pre-arranged day. Treatment starts with an in depth consultation to discuss the type of look you would like to achieve. Issues to consider are the frontal hairline and side profiles, whether you would like a definite or soft hairline and the colour of pigment to be used. You will be guided through each stage of this process. Cosmetic tattooing for scalp micropigmentation is nearly painless as a numbing cream is applied prior to treatment commencing. In order to maintain the results achieved, it is necessary to have an annual colour refresh treatment, this can be achieved in one treatment session. 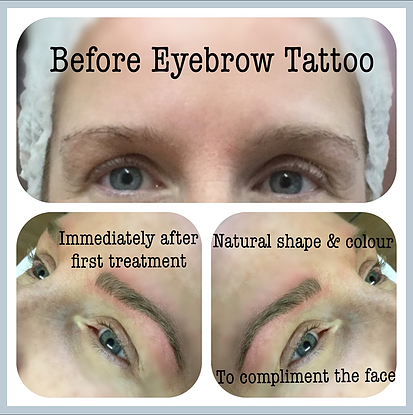 Full treatment includes consultation, colour match, finding the ideal hairline and shape, the first tattooing treatment and final top up a month later. This price is dependent on the condition of the current micropigmentation and the length of time since the previous application. Victoria started her career ten years ago with Estee Lauder through which she gained invaluable experience as a makeup artist. She then advanced her skills and trained as a semi permanent makeup artist with The Dermace Academy. This academy is regulated and authorised by the British Association of Beauty Therapy and Cosmetology (BABTAC) and of which Victoria is a member, she is also a member of the Hair and Beauty Industry Authority (HABIA) and the Association of Registered Aestheticians (ARA). Victoria takes a very professional approach to her work and only uses state of the art industry approved technologies. She is a perfectionist who has built up a loyal clientele over the years who appreciate the quality and consistency of her work. I was recommended to go and see Victoria and I’m very pleased I did. She let me chew her ear off with a dozen questions, she drew my eyebrows on quite a few times because I’m so fussy. She’s a patient and talented lady and comes very recommended in my eyes! After much debating I decided to just to go for it and I don’t regret it one bit. Vicky knew exactly what I did and didn’t want and made sure I was 100% happy before she started to tattoo. I love them and it was pain free. I would recommend to anyone. I’m now already considering another procedure. Thanks again Vicky. 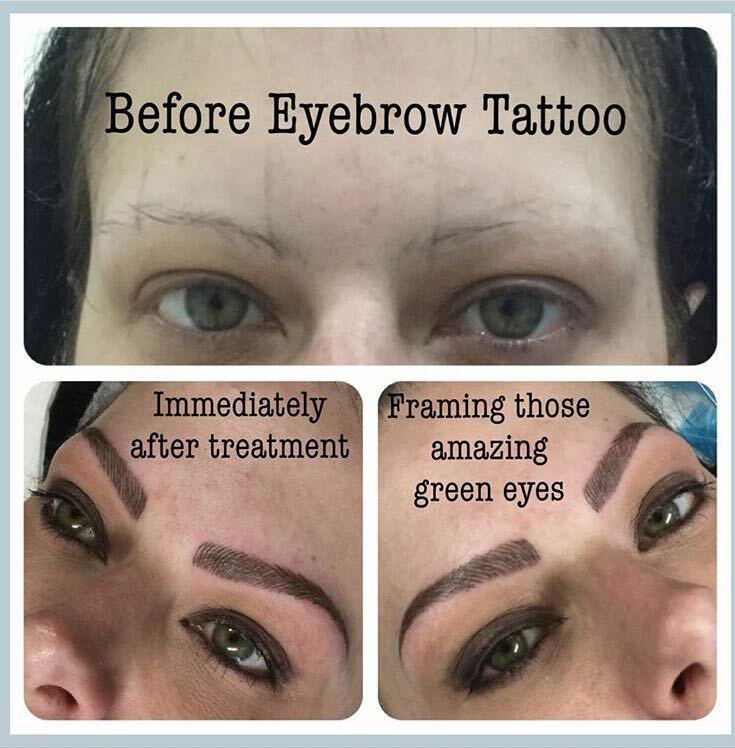 If you’re contemplating getting cosmetic tattooing done but you’re worried about the effect or outcome then Victoria is the perfect person for the job. Not only is she is a complete perfectionist but she’s confident and instantly makes you feel comfortable and at ease. She will answer any questions and has so much knowledge on her product that after one conversation with her you won’t have any doubts. .